Just make sure you are logged in as sometimes the system logs you out and this is the reason why you can't see images. We will most likely get another oppportunity once the US opens. As it is going to open low, it could start a rally which could be shorted at previous day high depending on the strength of the run, if the markets do not sell off after that , could then end with a high made last in which case Monday BUY day would offer great short on the open. Lets see how all this pans out. It sounds like you have picked up on Taylor! Great work!!! Thks, I am still in the learning process, think Richbois has far more indepth knowledge on the subject. 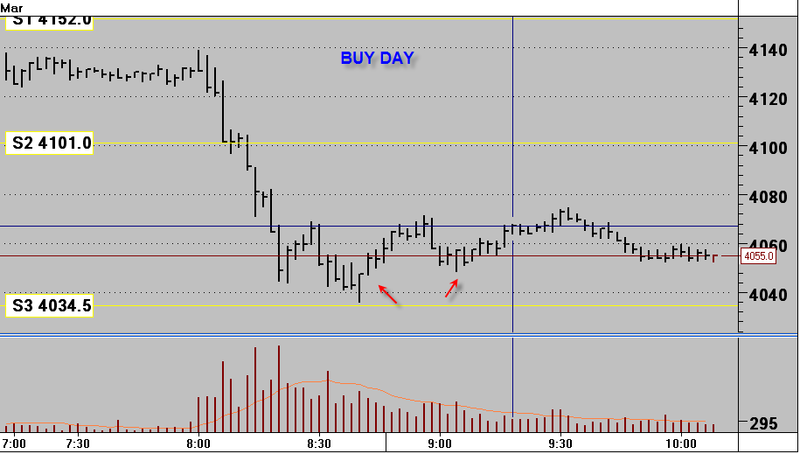 As you are buying on a sell day and selling on a buy day, counterintuitive, but once you get your head around the rythm or cycle of the market it all falls into place. we could just ignore labelling them as buy, sell and replace them with day 1, 2, 3. One reason I got a grasp of Taylor was the way I look at the numbers I produce. The odds of this or that happening is a better guideline for me. I am a numbers person so for me it is easier to read the numbers than to read Taylor. But I had to read Taylor many many time to get these numbers going. The biggest problem was to see what is in between the line, and of course understanding his terrible english. Yes you have done a great job with your spreadsheet work and have obviously grasped the core concepts of Taylor to accomplish that. As for Taylor, he reminds me of a comedy show we had "Morecombe and Wise" very popular on BBC for nearly 20yrs, they always use to have a celebrity on each of their shows and they would make a right fool of them. On one of the shows they brought Andre'Previn, and he would conduct the orchestra and Morecombe would play on the piano one of the famous concerto, ofcourse it was terrible piano play. Previn steps upto him and says what the hell are you doing, you are playing all the wrong notes. 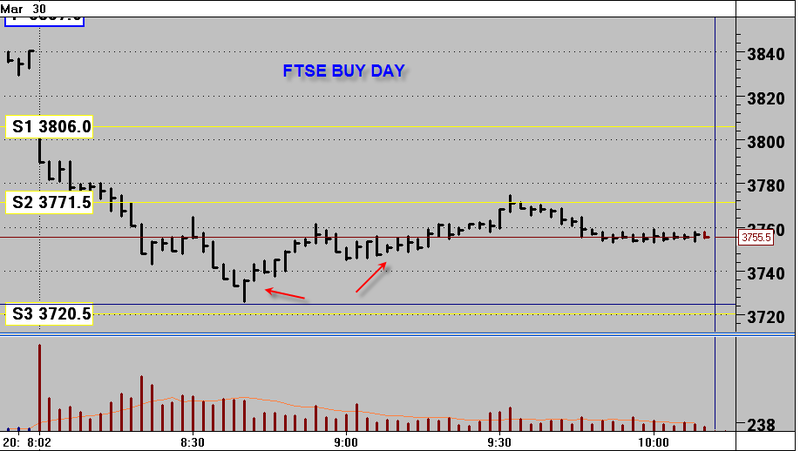 Morecombe gets up, grabs him by the scruff of his neck, pulls him to his face and says " I am playing all the right notes, but not necessarily in the right order"
On ftse it was still around 40pts depending on entry/exit, as I said before we only need a small slice. Long opportunities, enough points for decent profits. I guess TVGR took effect for you too and the low will be made last.